Martini's + Matisse annual Gala is a much anticipated soiree. The extravagent generosity of artists, restaurants, services, designers, administrators and people of enormous talent who tirelessly combine their creativity to create an evening that rivals the Hollywood Awards. Arriving courtyard at Frank Crum Building in Clearwater Florida is truly magical. This year, was a sold out event and attended by some 800 guests, primarly in the medical profession. 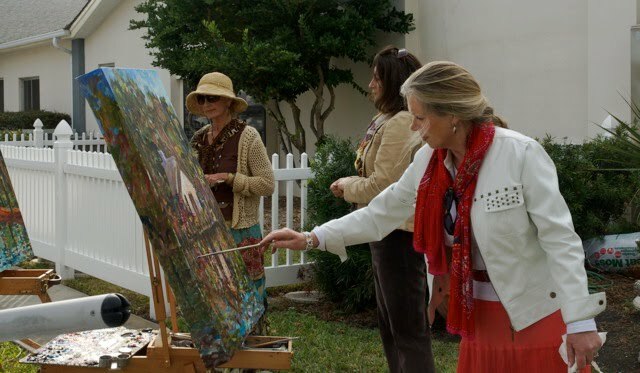 More than one hundred artists donate art, which is carefully juried. 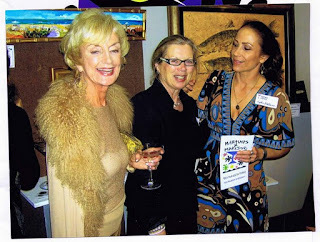 The inaugural event, some years ago, showcased " Featured Artist" Sophie Matisse, the great grand daughter of French painter Henri Matisse. This Gala benefits the uninsured in our local society. The event is $150. per person. 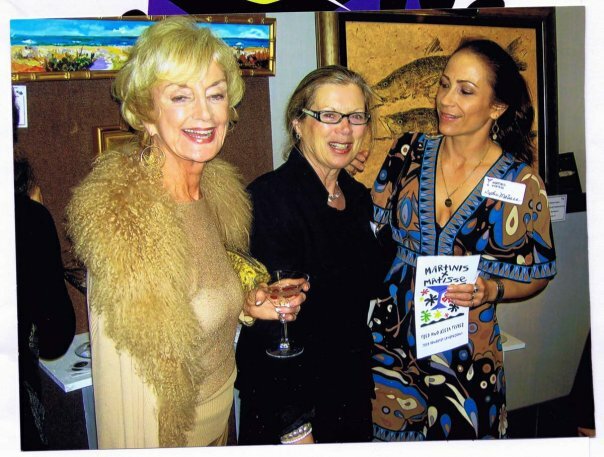 Each guest received 3 tickets which they put in a large martini glass beside the painting they wish to win. At 9.15 a selecting committee choses a winner from the martini glass. 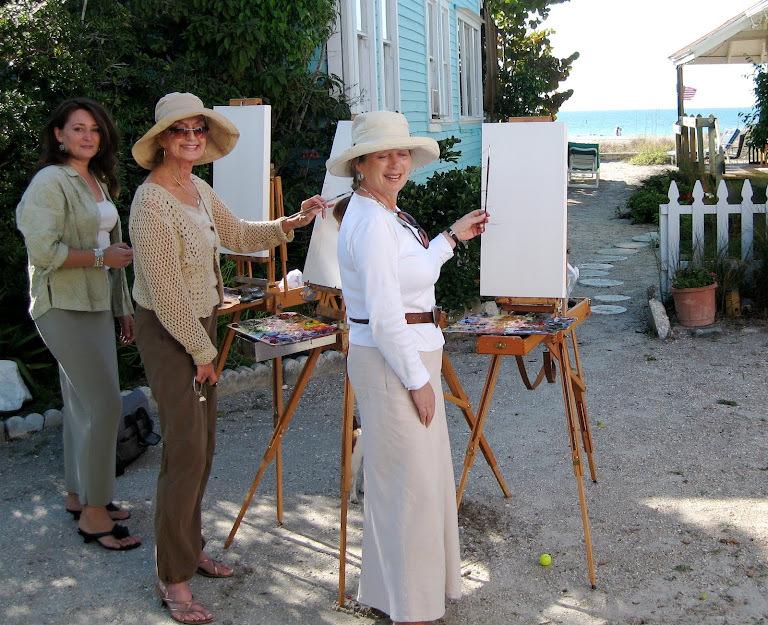 To be eligible for the painting by the featured artist one must purchase tickets for $50. each. Our glass overflowed with tickets, thank you and Clearwater Free Clinic also thanks you. The "shakers" extreme martini shakers!! The winner of "Let's Sail Away" triptych was: Dr. Kimberly Quick. And until our next Martini's + Matisse Gala, Good Night, God Bless and good health to all. Do you enjoy formal occasions such as this?